During those days, the Roman emperor, Caesar Augustus gave out a decree that everyone should go back to their home town and be registered. Joseph was from the lineage of King David. So Joseph and Mary set out for Bethlehem. While they were there, Mary gave birth to the baby. Every inn was packed with guests and there was no more room left for them. So Joseph and Mary went to spend the night at a stable. 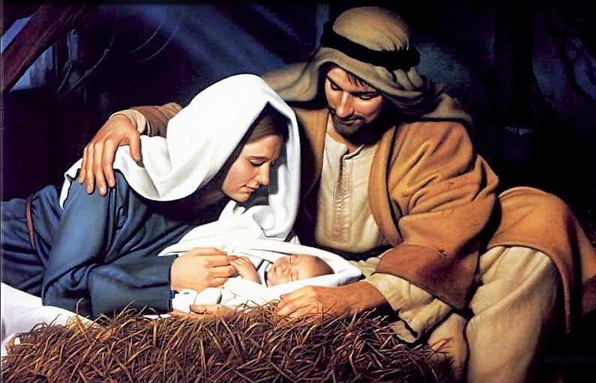 Mary delivered the baby at the stable and wrapped him in swaddling clothes and laid him in a manger. That night, some shepherds were out in the field looking after their flock. All of a sudden, an angel stood before the shepherds. The glory of the Lord shone all over the shepherds and they were very afraid. After the angels were gone, the shepherds decided to go and see the baby Jesus. They made haste to Bethlehem and found the baby lying in a manger with his mother, Mary. After that, the shepherds went back praising God and told everyone about the good news. Everyone who heard the good news from the shepherds marveled with one another. But Mary kept all these to herself.